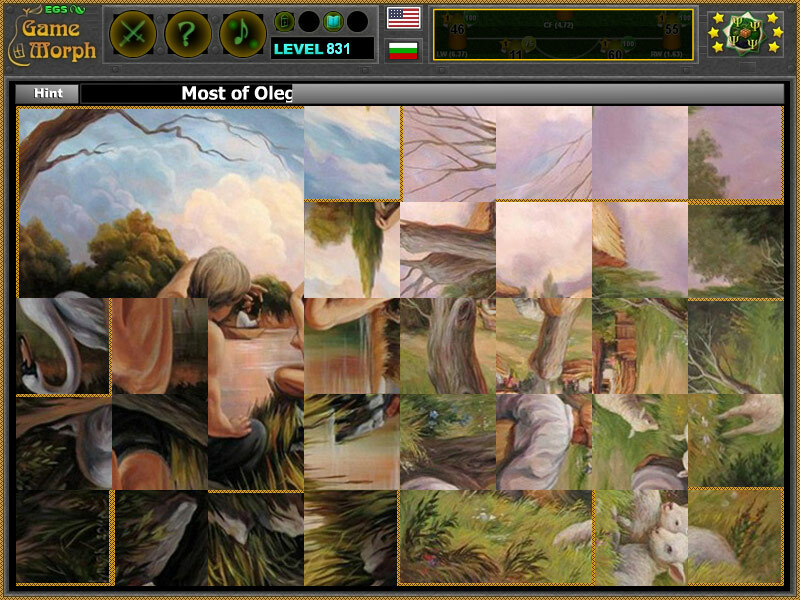 Shuplyak's hidden faces optical illusion in a fun online puzzle. "Hidden Faces" is a fun psychology class puzzle for desktop computers, laptops and tablets, which may be played in the web browser. Sort the hidden picture. The Psychology Knowledge Board include 40 square pieces to rotate and finish the picture of impossible figures illusion. It is part of the Interactive Mind Studies educational tools. How there are hidden faces in a drawing? How to play Hidden Faces. This is a common square rotating puzzle. Click on the puzzle pieces while they fit the original picture. Use the "hint" button for help. Know a famous drawing with hidden faces optical illusion. Here is a gameplay movie of psychology square puzzles on YouTube. Class subject: Hidden objects optical illusions. This type of optical illusions is when there is another image to be perceived(in this case a face), formed by a natural surroundings of the painting. Painters like Oleg Shuplyak are specializing in such paintings. Here are more of Shuplyak arts. Labels: Optical Illusion Puzzle , Online Puzzle , Flash Games , Psychology Games , Education Games , School Games.